Lately, the number of new releases hitting the market has been unprecedented. It seems that every week there is at least a half dozen new colorways for players to choose from. We are not complaining, as it keeps us extremely busy trying as we try to follow the action. This week has been a little quieter and that has allowed us an opportunity to revisit some of the better looking options you now get to choose from. Along with picking out some of our preferred colorways, we decided to add a little humor by creating players we see wearing each pair. If you wear a pair and you don’t fit the mold, try not get too emotional about it – its all for fun! Here are the seven boots and player types we came up with – hit the comments if you want to have another player (and some humor) to contribute! Worn By: “The Ghost” – this is a player who has a habit of making things happen and then disappears for a good half hour. That might be scoring a goal or playing a glorious through ball. But before you know it, his head is stuck in the sand and he isn’t doing a lot of defending. But then, the ball lands at his feet and BOOM, beats three players and scores another one! Imagine if he put all that talent to good use. Check everything available in the current X15 Whiteout line-up. Worn By: “Tree Hugger” – think of the guy on your team who likes to get up and close with opposing players in the box, whether that is attacking or defending. He is likely to be the one that can’t really head the ball, thus the need to get hands on. In terms of style, he is always looking to get on the ball and has no fear getting his head up to spray passes about the place. 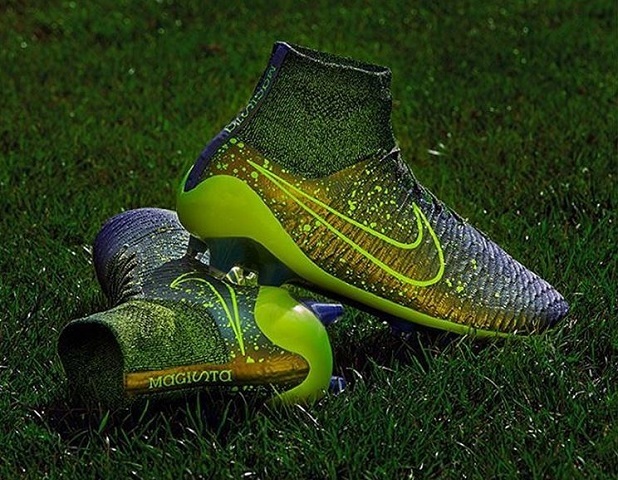 If you like hugging trees, find your own pair of Magista Obra Electro. 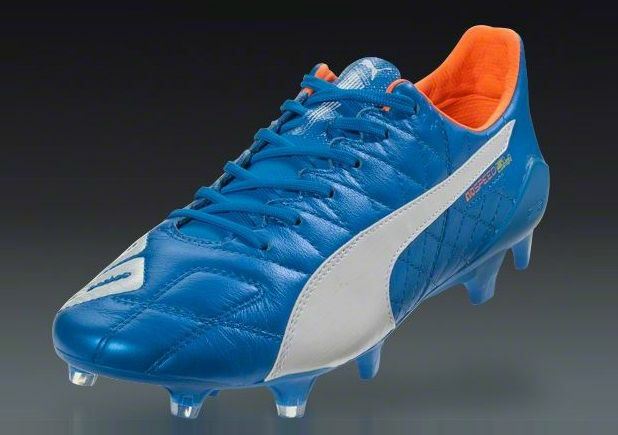 Worn By: “Prima Donna” – who doesn’t want to be seen as the prime leader on the pitch? In pink, this player is likely to want to stand out with something that goes against the norm. In situations where they lose the ball, you will be expected to stay quite and not shout at them. In situations where you lose the ball, expect to get the “I WAS WIDE OPEN” treatment! You know this is you! 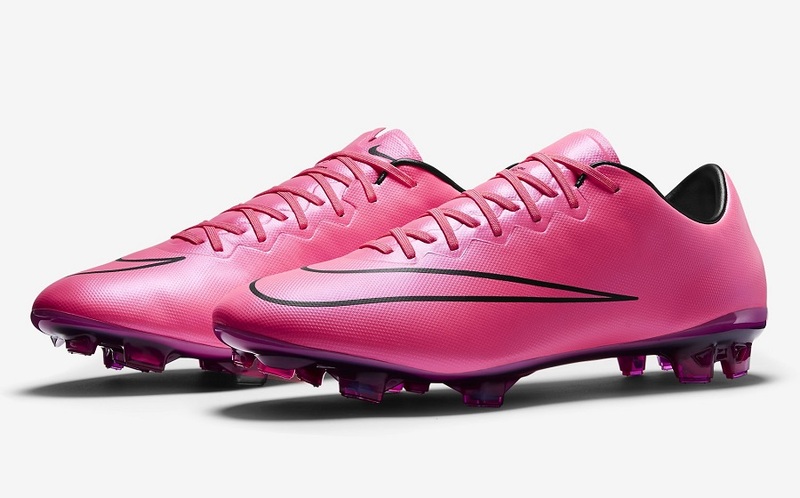 Here is where you can find everything Nike Mercurial Pink. Worn By: “Modern Risk Taker” – you know that player who plays a back pass back to the keeper from the halfway line? Or the guy that tries to cut one way then the opposite way only to try a third cut to “double trick” a defender? 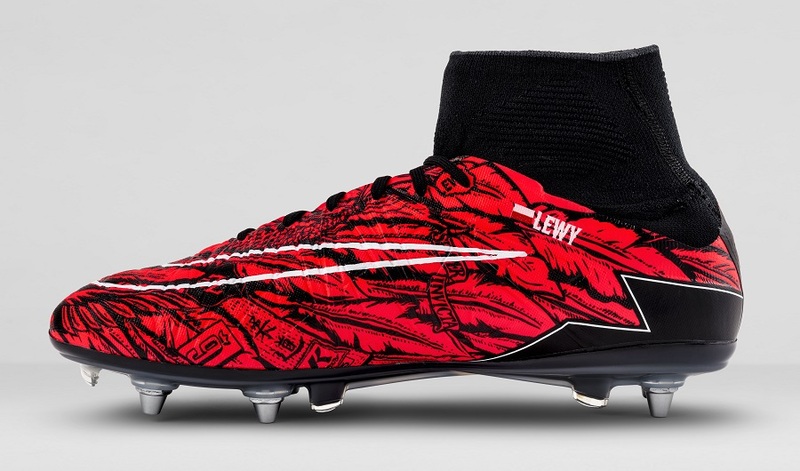 Well, he is most likely in a boot like these; not quite a standout Nike or Adidas boot, but one that is completely different for its own unique reason. When you are wearing a 5.2oz leather boot, you are likely to try pull of anything! Join the movement – get into a pair of 5.2oz Leather SLs. Worn By: “Mr. Wonderful” – this is the player that wants to impress at every opportunity. They are likely to have the most organized bag pre-game and can tell you the name of every boot released on the market this month. On the pitch, they are creators and have the ability to make things happen at the right times. But, don’t be surprised if they mess up by trying a little too hard. 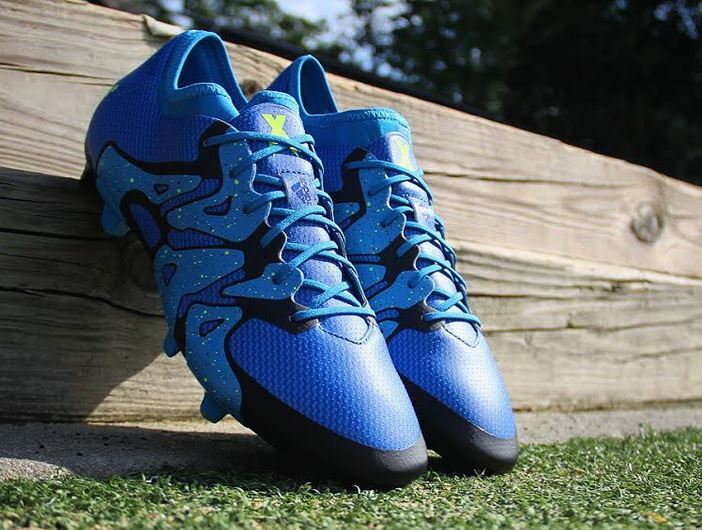 Create chaos in confidence with your own pair of Solar Blue X15. Worn By: “The Educator” – only the wisest choose a pair of boots like these. They’ve probably even done a little research and read our take on what is one of the most comfortable boots currently on the market. 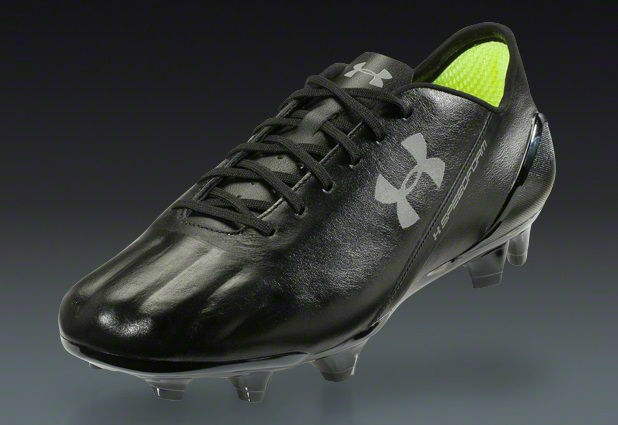 Add in a snappy blackout colorway and you’ve got worth talking about. This player is also likely to share his knowledge with fellow players and is likely to take some younger players under his wing. 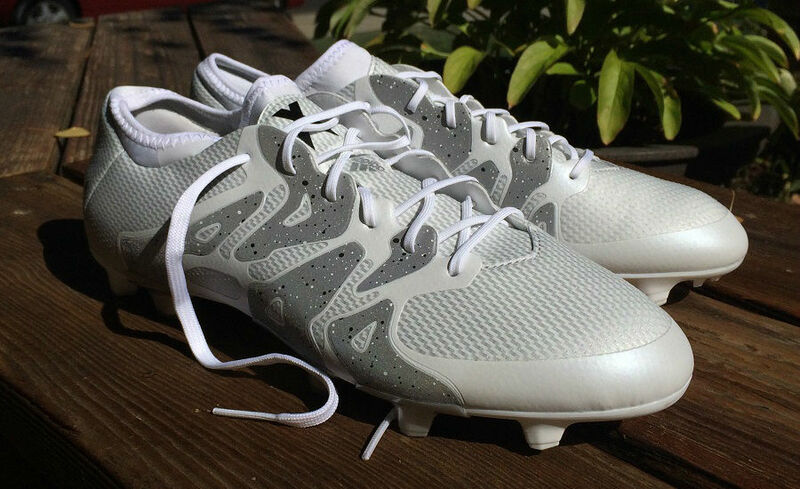 Change it up with a pair of UA Speedform FG. 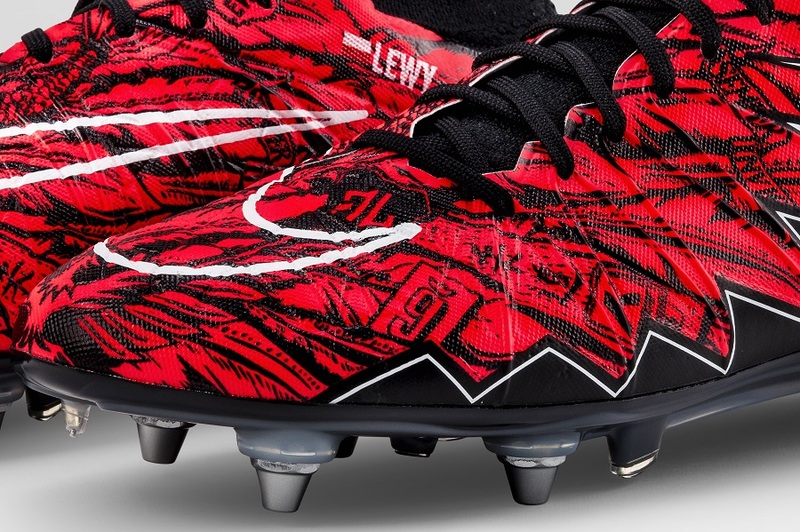 Worn By: “The Lewy” – this player is most likely on cloud nine right now, with one of the hottest goal scoring streaks going. They have an eye for goal and the ability to light up the pitch by taking pretty much every chance that falls at their feet. Plus, they have the multi talent of being able to score with both feet and their head. If you have one of these players on your pitch, please pass them the ball at every opportunity and watch the goals go in. Don’t even try get a pair – there is only one available! There are at least a half dozen colorways we left off and I’m sure we could name some other unique player personalities. If you have a recently released colorway that match someone on your team, we want to hear about them! Let us know in the comments below and we might even add it to the list. Worn by: The octopus. This person in my team (Jerry), is an octopus in defensive midfield, with him using his Adidas X 15.1 in the solar red colourway and his legs to toe poke the ball away from attackers in the defensive third in seemingly all directions (which is why he is known as the octopus). However, he is like an octopus on land when bringing the ball forward, and has to keep it simple, or risk undoing his own good work. P.S. May you include this in the list? I think his characteristic is one missing from the list.